Get ready for another infusion of free Battlefield 1 DLC. 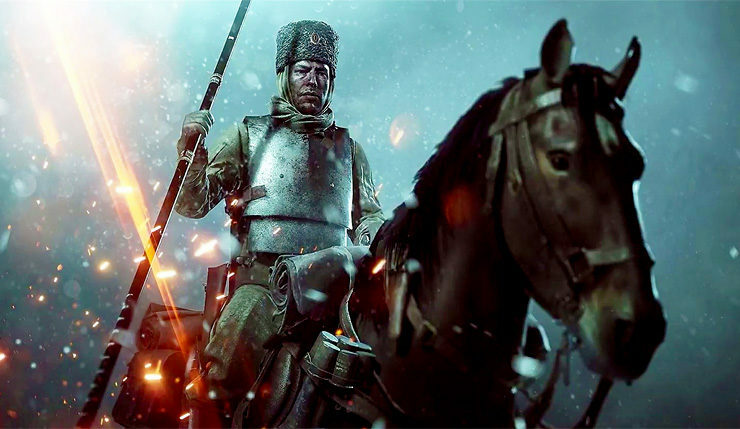 Earlier this month, EA made the They Shall Not Pass expansion available for free for a limited time, and now they’re giving away the second Battlefield 1 expansion, In the Name of the Tsar. As before, you get to keep the DLC if you download it during the free promotional period. Will EA eventually offer similar promotions for Turning Tides and Apocalypse, giving away the entire Battlefield 1 season pass one expansion at a time? It seems like that may be the plan. Check out an In the Name of the Tsar trailer, below. Tsaritsyn – The Red Army and the White Army battle among barricaded streets as the old and new regimes fight for the soul of Russia. This up-close and personal infantry fight is as brutal as they come. Volga River – A ruined battleground sets the stage for a tank fight between the Bolsheviks in red and the Imperial Army in white. Shelters provide cover from the freezing cold and the constant exchange of heavy firepower. Lupkow Pass – Fight in the snow-covered ravines of the treacherous Lupkow Pass. Against this dramatic backdrop, the vertical fights are as bitter as the cold. Coming in August, followed by the entirety of the expansion pack in September. Albion – Partake in the skirmishes of the Albion assault in a freezing archipelago. In this massive invasion of the Baltic peninsula, the German Empire attacks with infantry, dreadnoughts, and aircraft against the heavy coastal gun battery. Galicia – In the midst of the epic Brusilov Offensive, the Russian Empire is fighting to push back the Austro-Hungarian forces in the countryside. Take on an open map focused on infantry, cavalry, and light vehicles. Brusilov Keep – The Russians have pushed their enemy into a small mountain town, but the Austro-Hungarians are making a stand. Experience close-quarter fights by the Carpathians on an infantry-focused map. In addition to the stuff above, you also get the typical assortment of new weapons, vehicles, and gadgets. In the Name of the Tsar usually costs $15, so this is a deal worth grabbing. In the Name of the Tsar is available for free through the PlayStation Store, Microsoft Store, and Origin in both the US and Europe. The promotion lasts until May 29.